We are a team – a group of individuals who work together towards the same goals with a genuine passion for the company and the product. We are a strong team with shed loads of experience drawn from all different areas of the industry and varying events. From 3 day conferences in The Barbican, to car launches, projection mapping of buildings, to a four day extravaganza in Mexico. We are professionals in our field, we are polite, presentable and passionate. Mostly importantly we have a great work ethic and a sense of humour. The founder of PR Live; Ian started out with a small projector and an even smaller PA system. With his ethos of high standards, hard work and attention to detail he has built PR Live into the company it is today. Ian has been delivering world class AV for the best part of 30 years. His great client relationships and problem solving ability has led to the company being where it is today. With 10 years under her belt at private event company Banana Split plc, a good all rounder she has planned a wide variety of productions in the UK and abroad over the last 12 years. Hannah enjoys the fast pace and unpredictable nature of the events industry. She has a natural ability to communicate well, understand clients expectations and works hard to exceed them on every event. 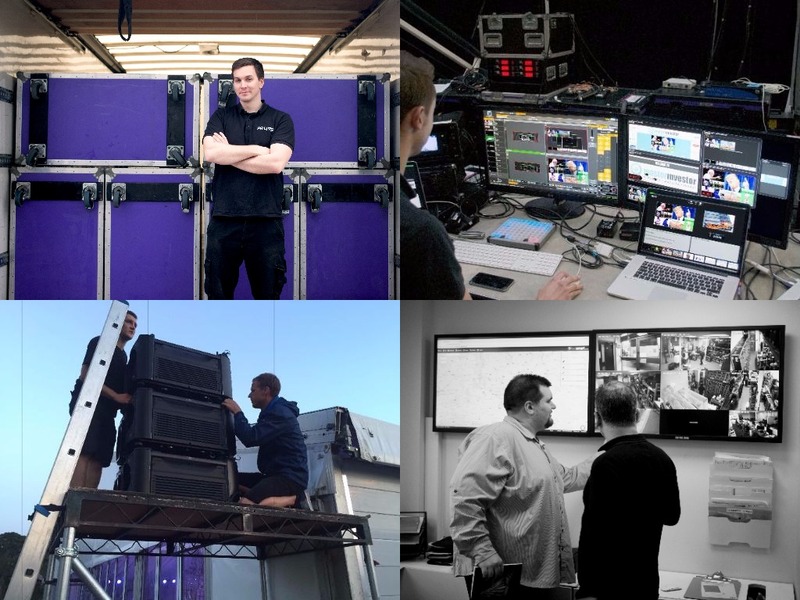 With a cool head and a great deal of past experience as a technician onsite Jake can take an event brief and deliver the goods without fuss, but with great precision. He holds an arts degree which provides him with a creative background which he can call on when helping to achieve a clients’ vision. Richard joined PR Live in 2013. Aside from day to day operations and logistics, Richard has pushed the company to be more structured through organisational procedures, administration and implementing fire and health and safety legislation. He has taken the helm of the office and it’s day to day running and enjoys working surrounded by a collection of snow globes bought from every event carried out abroad (except Nigeria). Dave is a skilled designer in charge of all our plans and schematics as well as an experienced on-site technician. Originally starting out in 2005 gathering expertise in video and lighting he is now established in his role as Head of Technical. His ability to delve deep into new creative challenges to provide innovative solutions, taking events from concept through to execution means on site delivery is seamless. His patient and adaptable nature means Dave is always one step ahead in an ever-changing industry. Outside work, Dave is kept busy by his Cockerpoo Dot and has just added an LED tambourine to his Drum kit. With a degree in sound design, James has worked in sound production before joining the team. He has taken on the task of co-managing direct mail campaigns, social media channels and provides graphic design, photography and audio editing for the company website and at live events. Helpful and always keen to get stuck in. Starting out in 2015 as an apprentice, Joe has the head for technical and this industry. He has already built good knowledge through working on a wide variety of events. Completing several course he is a qualified LED technician. Great communication skills and his natural ability to connect with colleagues and clients always makes them feel at ease. Neil has a great deal of experience both in warehousing and as a road tech which enables him to make sure the flow of equipment in and out of the yard is efficient and precise. If something needs doing Lee is your man. He keeps the kit moving in and out of the warehouse, probably the most underrated yet important job in the whole company! You name it, he can fix it. An expert in all things electrical. If you think your face would look good up there then send us your CV!